Only in Phoenix where you have to pick-up all the hats off the ice after you score a hat trick. Impressive! 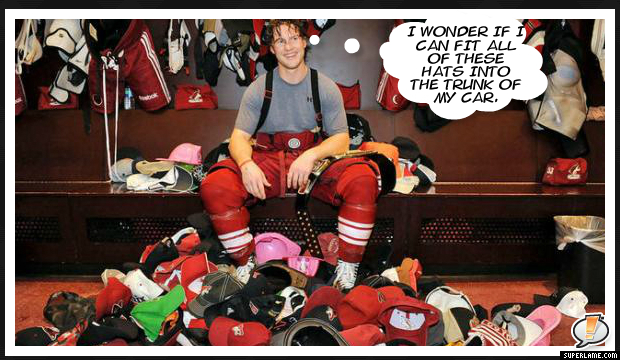 I didn’t even think there were that many fans at a Coyotes game…and that they knew to throw hats on the ice. I guess a lot of Canadians winter down in Phoenix.